I don’t know the churches south of Hexham, and was amazed when I realise this Churches Conservation Trust church is just a short distance from the A68 – NZ045553 – website. 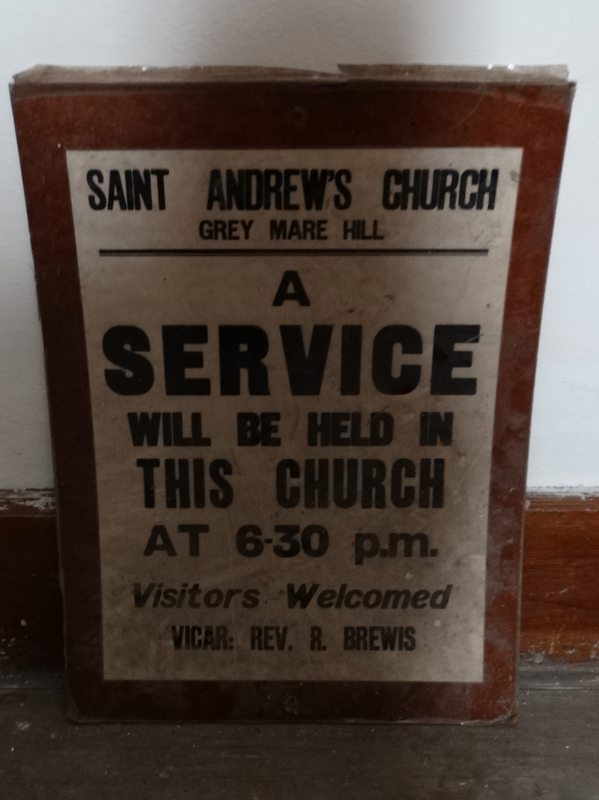 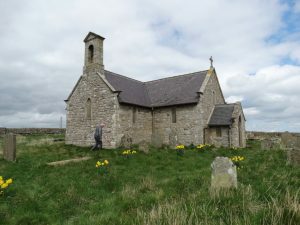 St Andrew’s church, Shotley is on the summit of Grey Mare Hill, 960 feet above sea level. 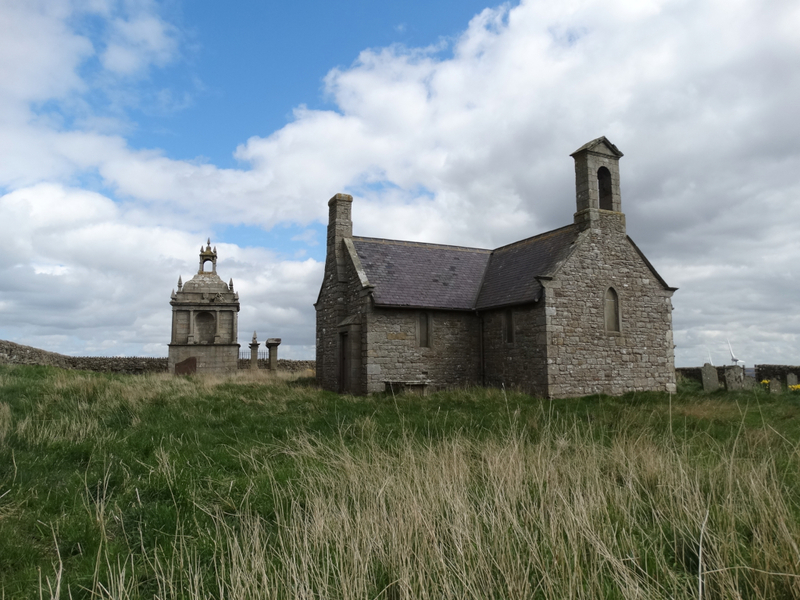 Now it is only accessible by a path beside the fields – open cast coal mining in the 1960s removed the vehicular access to the church and it was declared redundant in 1973. A medieval church is mentioned in the records of Blanchland Abbey, but in 1769 a new church was erected at the expense of the Hopper family of Black Hedley, Shotley Bridge. This was restored in 1892, and the only part of the C18 church which remains is the diagonal ribs over the crossing. 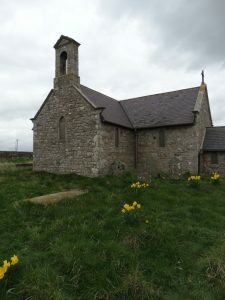 It is built of local stone with a Welsh slate roof. 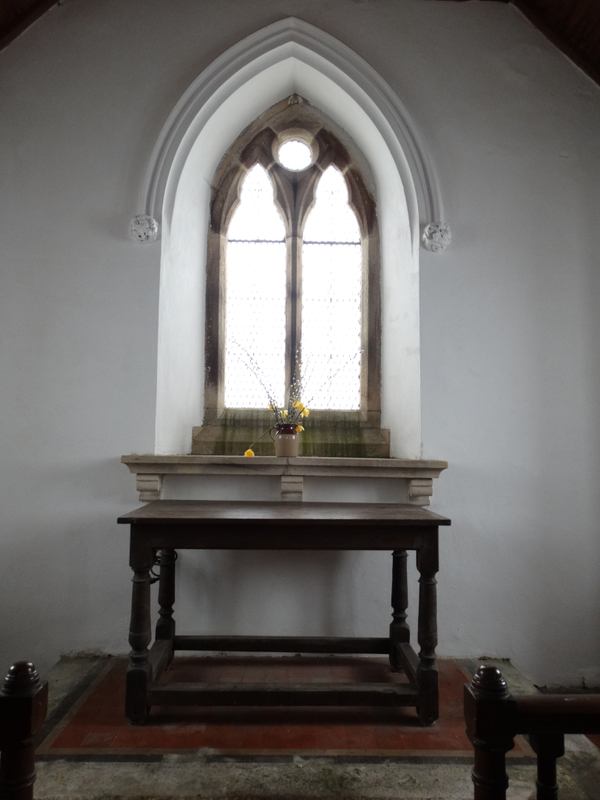 The C18 oak altar table may well have come from an earlier building. 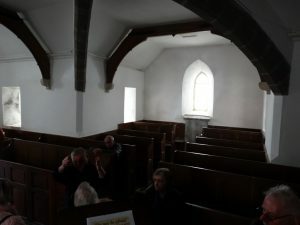 The pews are of 1892. 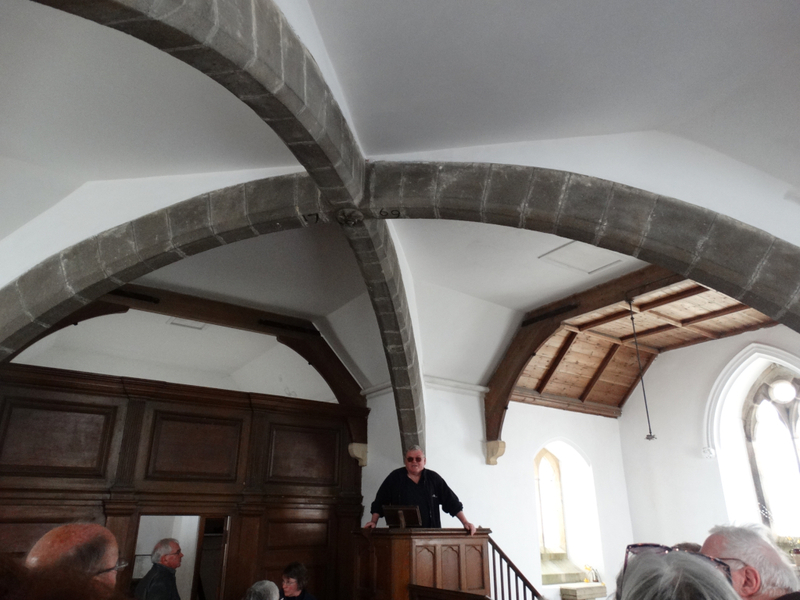 This is a real preaching house – everywhere provides a good view of the pulpit, and everyone can be seen. 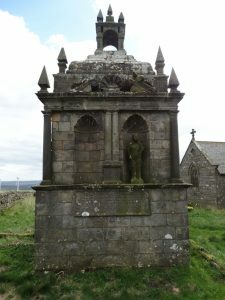 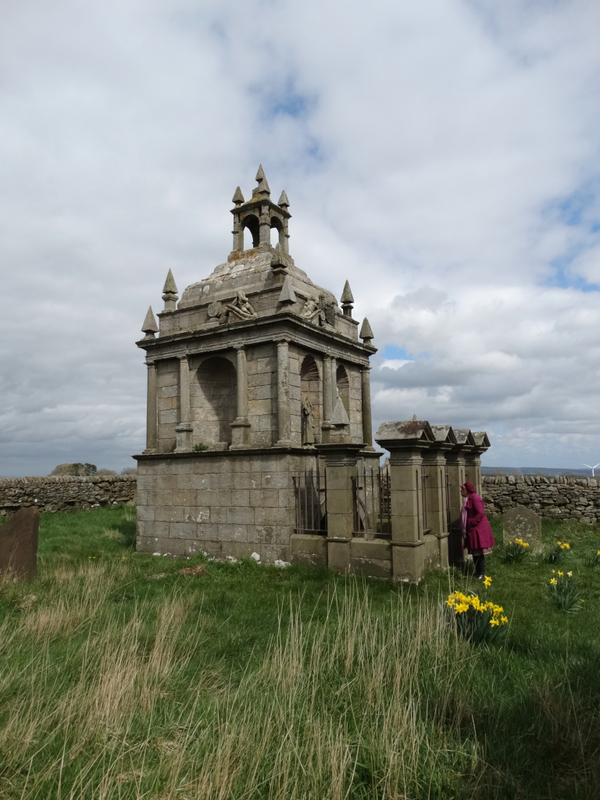 North east of the Church is the elaborate domed mausoleum built by Humphrey Hopper in 1752. 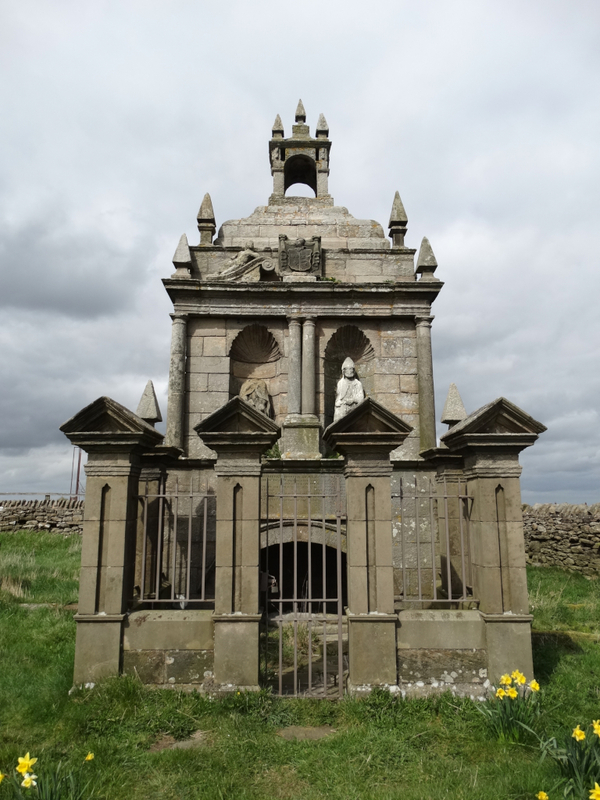 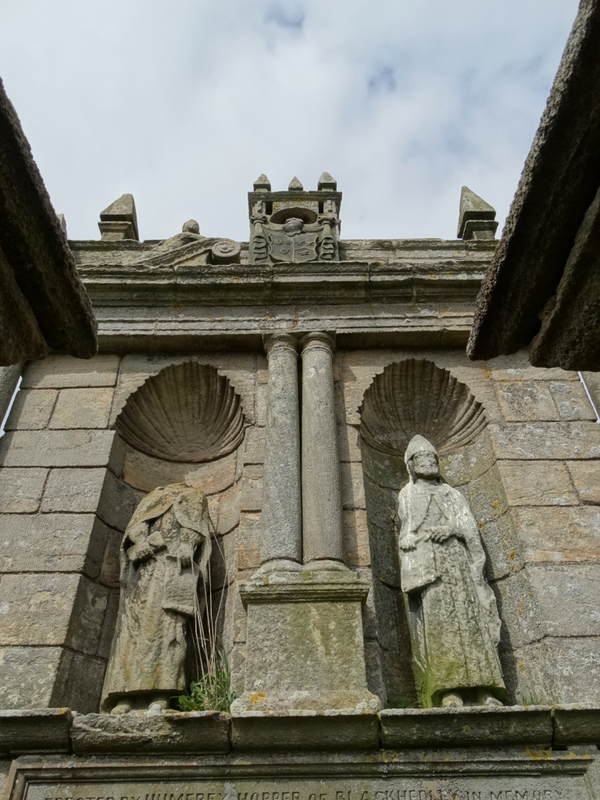 The guidebook says “It is a large structure of rustic character embodying the Tuscan order” – we all knew that! 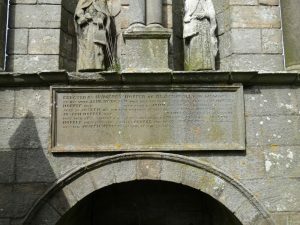 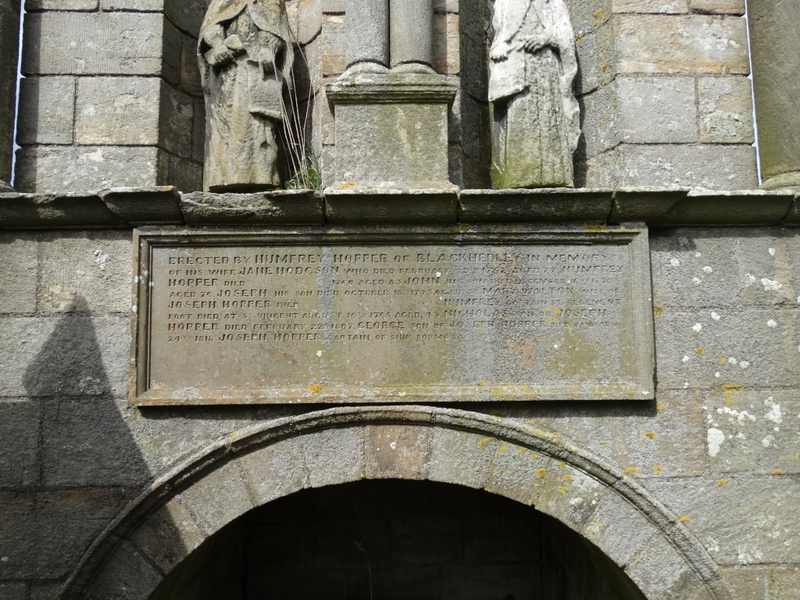 The Hoppers came from Scotland, and the inscription records the presence of Nicholas Hopper in 1573. 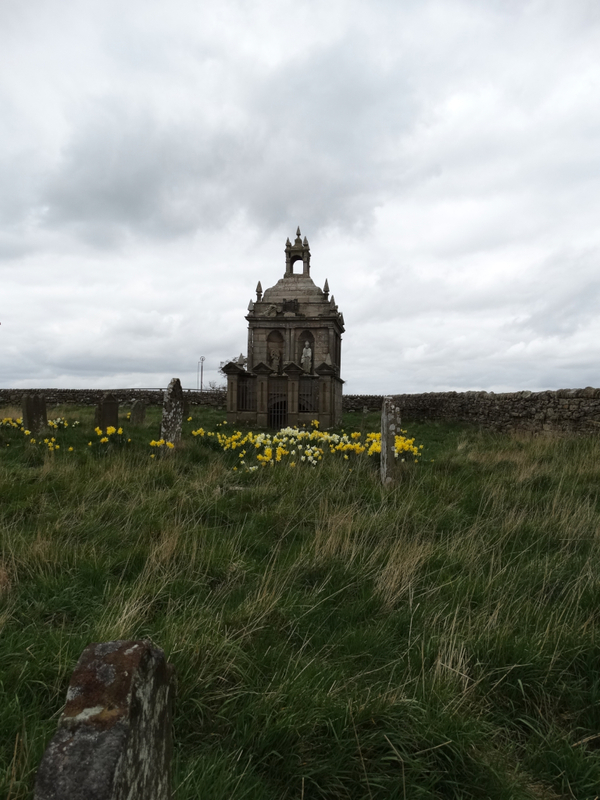 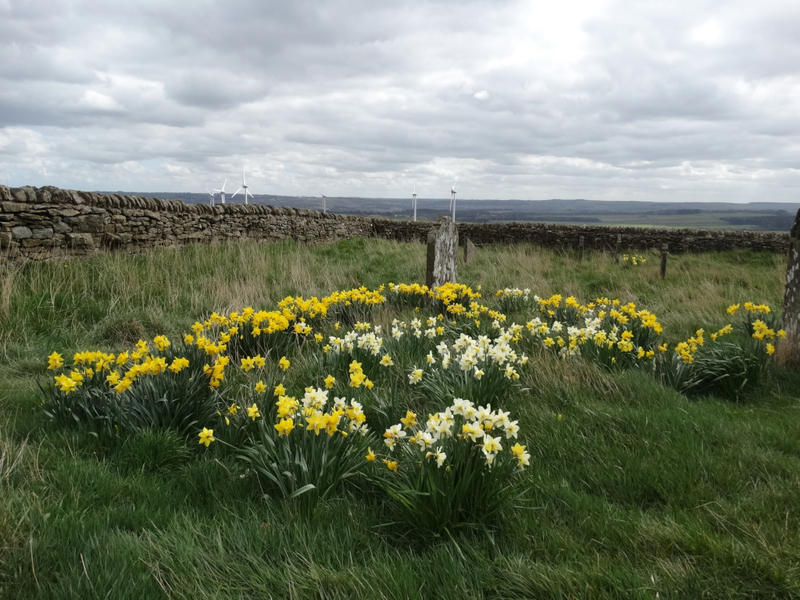 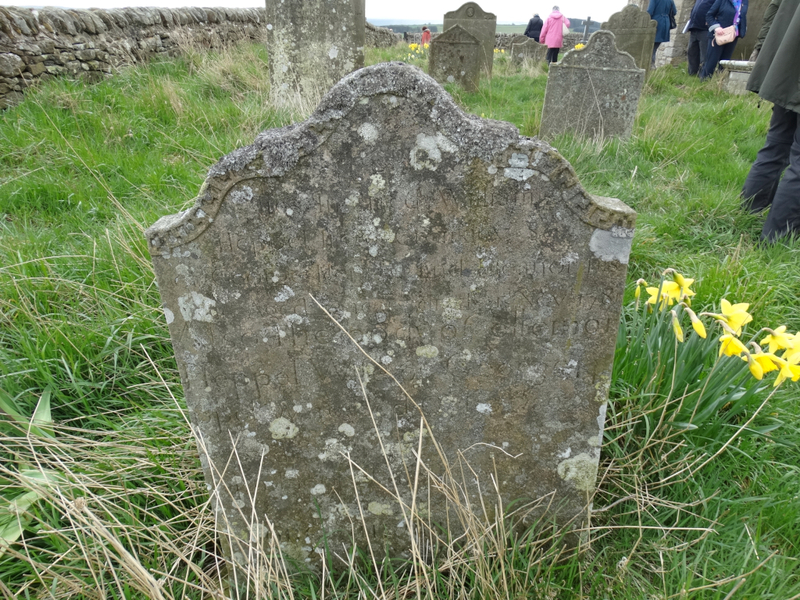 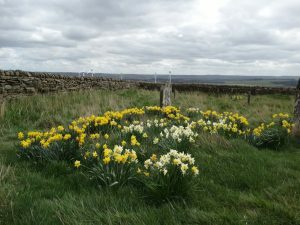 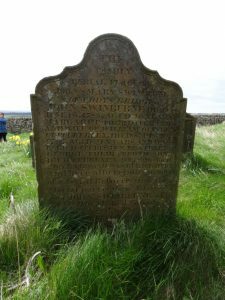 Some interest headstones, and nice views from the churchyard – I don’t have a problem with wind turbines. 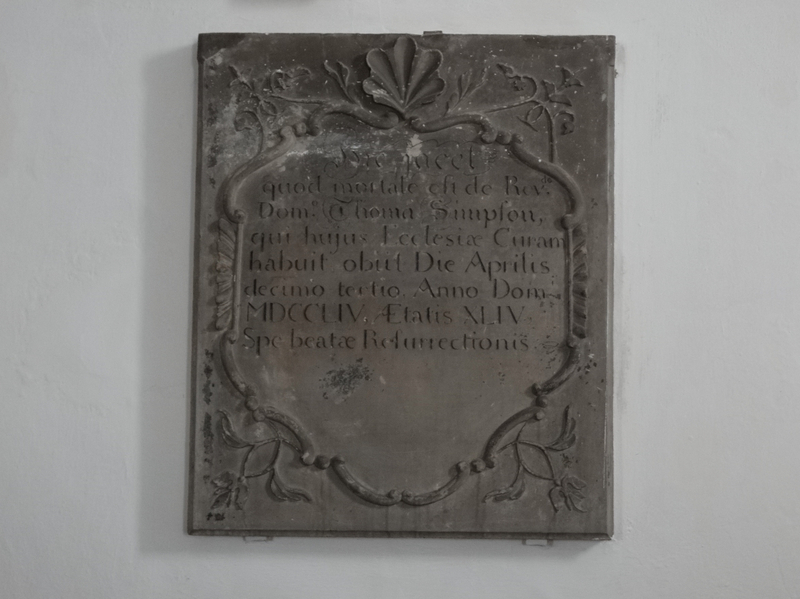 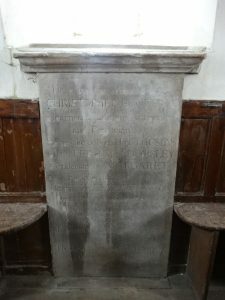 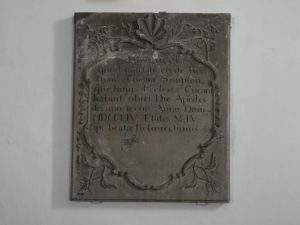 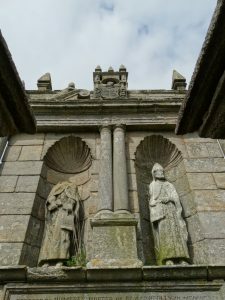 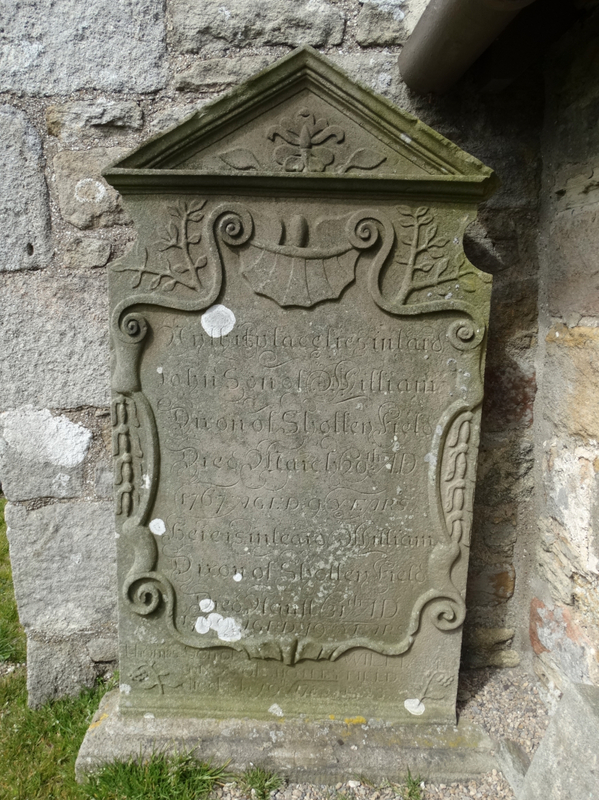 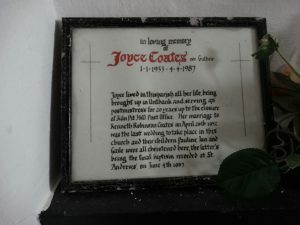 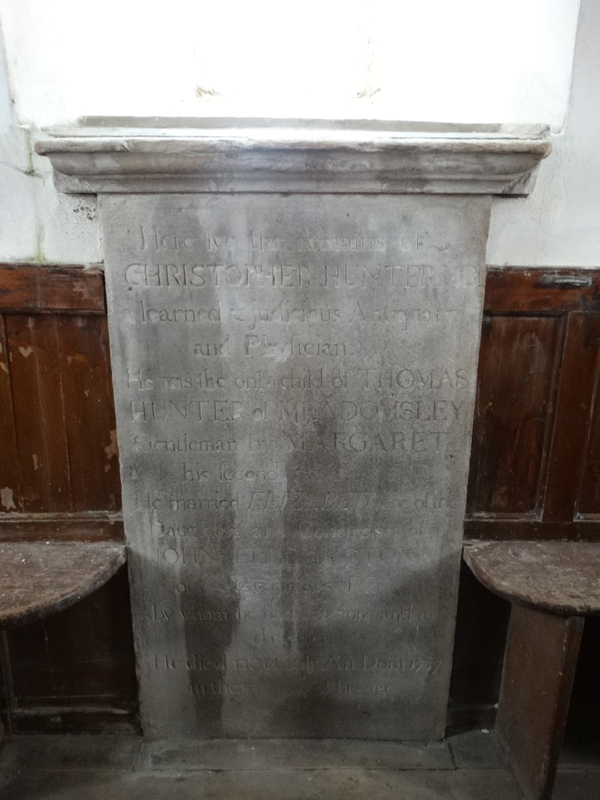 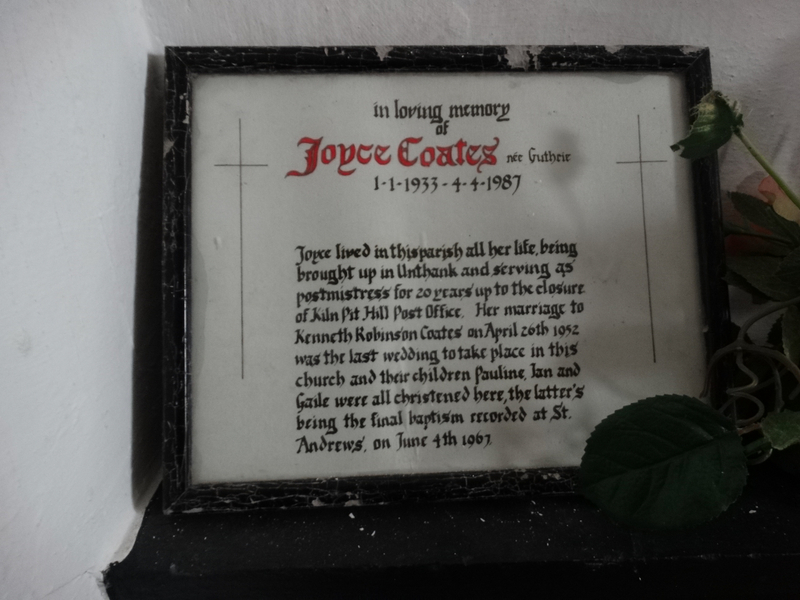 This entry was posted in Churches Conservation Trust, Northumberland. Bookmark the permalink.